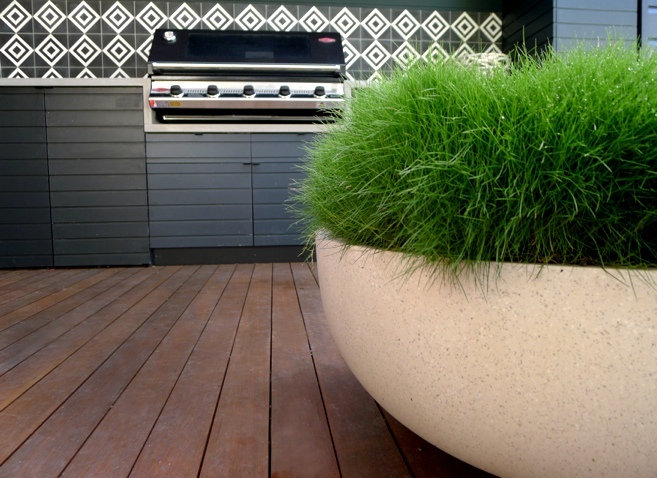 Outdoor areas are more than showpieces, they’re functional spaces where Australians love to spend time entertaining and relaxing. 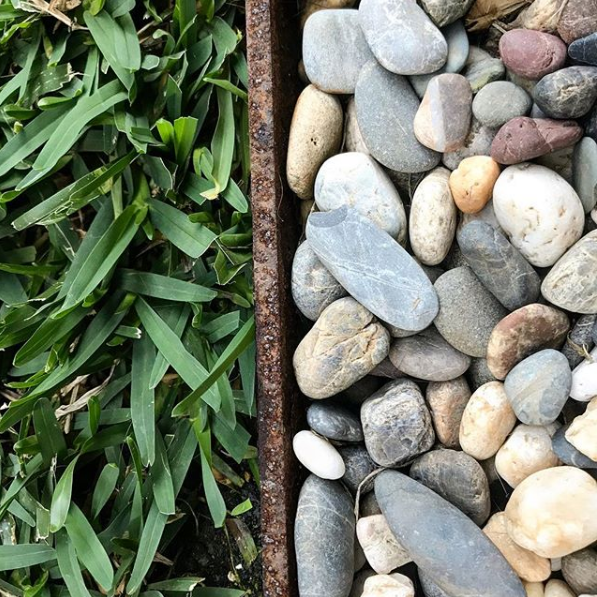 Given that lifestyle is top of mind for every buyer, it’s important to make your outdoor space as inviting as possible to all potential buyers. So, if you feel your garden could potentially benefit from a little makeover, then now is the time to do so, BEFORE you put your property on the market. A little effort will show off everything your property has to offer, while also ensuring you make a great first impression. When buyers inspect a home, they’re looking for a place they can imagine themselves living in. So if your gardens are taken care of, a buyer can easily imagine themselves enjoying the inviting space. Conversely, overgrown plants, spider webs and unruly lawns may cause them to wonder what else has been neglected around the property. So if you were thinking you could get away with just mowing the lawns, remember that it’s worth going the extra mile. Afterall, you want to ensure your property is presented in the best possible light in order to achieve the maximum sales price. Whether you have a house or an apartment, here are the basics we recommend you get right before listing. For house buyers, outdoor space is incredibly important. Your first job is to improve your entrance to build anticipation from the moment a buyer sees it from the street. Remember if a buyer arrives early for an inspection or an auction is being held in your front yard, the entrance of your home has a very important role to play. When you have an apartment, your outdoor spaces may be limited, but that doesn’t mean they don’t have impact. That is because every square inch of space in an apartment matters – so if your outdoor areas feel like a natural extension of indoor living zones, buyers will see more value in the property. 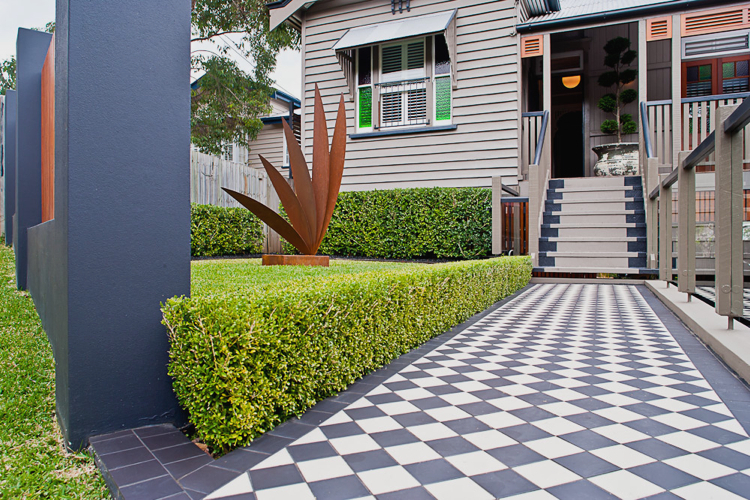 There’s a fine line when it comes to landscaping will appeals to a broad range of buyers. Touches like outdoor rugs and potted plants make a space more comfortable and liveable, but going overboard with colour and excessive finishes may overwhelm some buyers. The homes below are a mix of The Small Garden’s projects and gardens from around the world, with each showcasing the ideal middle ground to aim for an different ways to lift a space. In these homes, two symmetrical pots draw attention to the entrance. The pots have also been carefully chosen to complement the overall aesthetic of the entrance and the building’s architecture, and add a touch of colour. The great thing about the simplicity of these entrances is that they are low maintenance, which will appeal to many buyers. As entrance gardens are typically small, a single focal point will have impact and leave a lasting impression. In these spaces, simple greenery and hedging adds presence to the sculptural elements without being overwhelming or distracting. 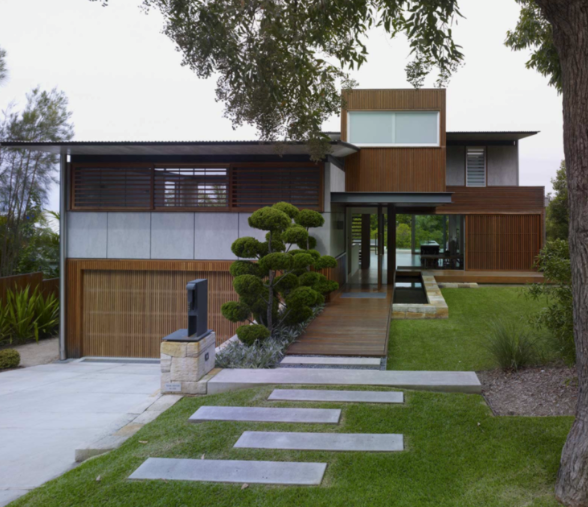 In the Queenslander home, the plant beside the front door ensures there is continuity between the front garden and entry. Think about the colours and detail in your home, and how you can mirror this style in your outdoor areas. In this garden, large concrete pads give prominence to the front entrance and bring the architectural lines of the house into the garden. Lifestyle and showing that your home is well cared for are the key things to keep in mind when preparing your outdoor spaces. If you have a property in South East QLD that you would like to discuss with one of the team members at Calibre, then please feel free to call our office at (07) 3367 3411 or lodge a request for a “Property Appraisal” on our website.